Home›Reviews›Michael Schenker and the Temple of Rock - The Mad Axeman Invades Sin City in One of 2015's Best Rock Shows So Far! 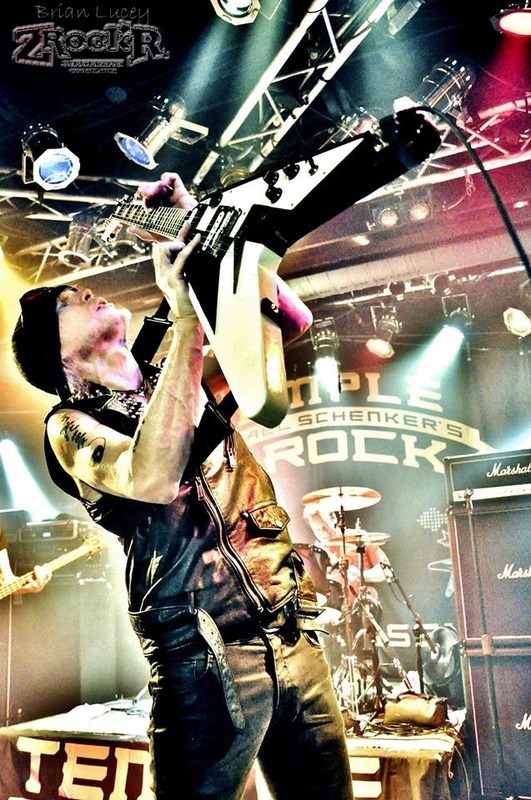 Michael Schenker and the Temple of Rock - The Mad Axeman Invades Sin City in One of 2015's Best Rock Shows So Far! Michael Schenker's Temple of Rock played Vamp'd on April 7, 2015. Michael Schenker has been doing his thing for over 40 years now. Having gotten his beginnings in the Scorpions as a teen, alongside his brother Rudolf, the young virtuoso quickly gained the attention of the world. 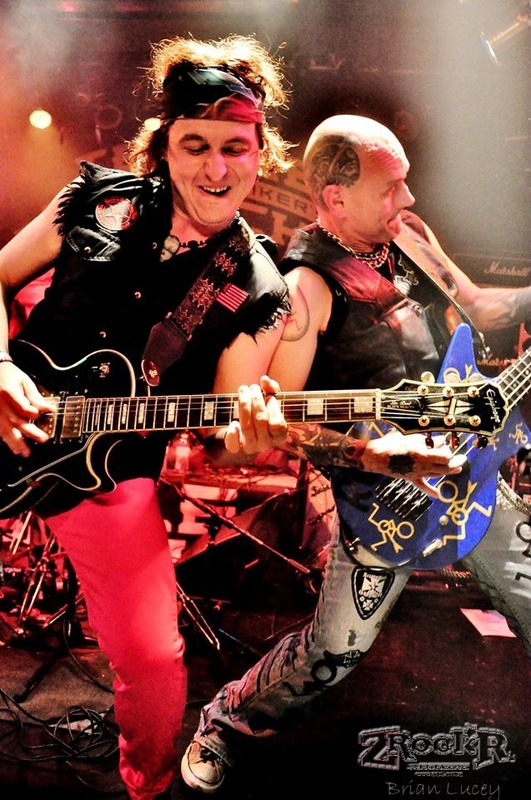 Stints with UFO, Michael Schenker Group, McAuley Schenker Group, Contraband, and most recently with his new band, the Temple of Rock, have captured the attention of rock and roll fans all over the world. With a new album out and having just celebrated his 60th birthday, the Mad Axeman is out on tour again. -Michael Schenker on guitar. This man needs no introduction, having been one of the most prolific and influential rock and metal guitarists in the world for the past four decades. Having gotten his start in the professional music business when he was just a teen, he stands as a legend to this day and still draws in huge worldwide audiences. -Herman Rarebell on drums. A longtime member of the Scorpions, having played drums with the group from (approximately)1977 to 1993, making him one of the longest serving members in the band’s history. -Francis Buchholz on bass. Another longtime member of the classic Scorpions lineup, this bassist was with the band from (approximately) 1974-1990, appearing on many of the band’s most iconic recordings. -Wayne Findlay on guitar and keyboards. Findlay has been one of the longest contributors to Michael Schenker solo projects over the past several years. -Doogie White on vocals. This Scottish vocalist’s best known gig prior to the Temple of Rock was fronting a reunited version of Rainbow in the 1990s, but he has also done vocal work with Yngwie Malmsteen and Tank as well. Gundriver was the opening act on this night of rock and roll at Count's Vamp'd. Opening act Gundriver started the show in fine form. 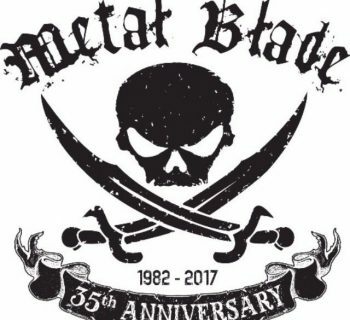 I was not previously familiar with these guys, but they are one of the bands out there that does a decent job combining modern rock with classic hard rock sounds. The vocalist/guitarist was a guy who sounded like he had been taking vocal lessons from Paul Stanley, something all the more evident with his between song dialogue. By far the highlight of this set was a lengthy and epic bass solo, which would make even the most seasoned of players green with envy. This was a brief but excellent opening set, and definitely started the evening the right way! 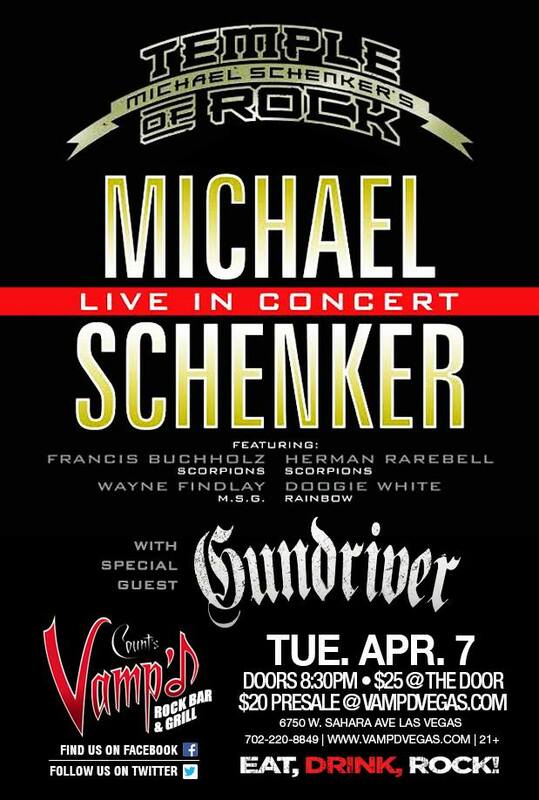 Michael Schenker has actually played Vegas a number of times in the past several years, including a Vamp’d show in 2012 with vocalist Robin McAuley, a Santa Fe Station show in 2012 with vocalist David Van Landing, and a show last year at the Las Vegas Country Saloon with the Temple of Rock. 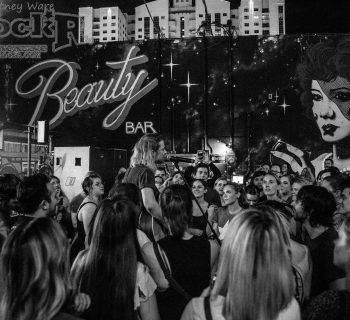 He has also made appearances in Vegas at awards shows and in store events, so this is a town where he definitely remains active and a fairly frequent visitor. The Mad Axeman doing what he does best! One of the big questions I had about this show was what to expect as far as the setlist was concerned. Would we mostly be getting the new Temple of Rock songs? UFO songs? Scorpions songs? Michael Schenker Group songs? When a man has a 40 plus year career spanning half a dozen or so bands, compiling the ideal setlist can be a challenge unto itself. This was one of my most eagerly awaited shows of 2015, but how did the end result actually measure up? Let me be the first to say that not only did Schenker not disappoint; he also put on what might have been the best show this rock and roll fan has seen in 2015 so far (and that is saying a lot!) Vamp’d was jam packed; many of the dining tables had been removed to accommodate the anticipated volume of guests, and needless to say they flocked to Vamp’d for this gig, to catch the Mad Axeman in his element. The setlist was one of the best parts of the night; there were a few of the best Temple of Rock songs, but this setlist primarily emphasized classic UFO and Scorpions tunes, with a few of the old Michael Schenker Group songs thrown in for good measure. On the UFO front we got classics like “Doctor Doctor,” “Lights Out,” “Too Hot to Handle,” “Rock Bottom” (complete with extended guitar solo!) and “Natural Thing.” Scorpions songs included “Lovedrive,” “Another Piece of Meat,” “Coast to Coast,” Blackout”, “Holiday”, and “Rock You Like a Hurricane” (Schenker did not appear on many of these songs’ original recordings, but Rarebell and Buchholz did). A few of the classic Michael Schenker Group songs performed from the band’s 1980 debut included “Armed and Ready,” “Victim of Illusion,” and the instrumental “Enter the Arena.” There are many facets to Schenker’s career, and this setlist was a great sampler of nearly all of them. The Temple of Rock band is one of the best that Schenker has ever had, and it showed throughout this entire gig. His solos were the best; having cleaned up his life considerably in recent years the Mad Axeman sounds as good now as he did back in his teens and twenties. The classic Scorpions rhythm section of Rarebell and Buchholz was on fire; there is no denying the chemistry that this duo has playing together, as so many classic Scorpions recordings demonstrated. Wayne Findlay remains a great contributor to the Schenker music, and vocalist Doogie White stands as the frontman that this band so desperately needs; it is not easy to find a man who can do justice to material originally recorded by multiple vocalists across a four decade career! The camaraderie of the band members cannot be denied either; you can tell these guys love working together on stage. This show was packed with highlights, and the audience was clearly enjoying the entire experience. One of the best moments was a special guest appearance from vocalist Robin McAuley, who sang the UFO song, “Natural Thing.” McAuley is a regular in Vegas as he now performs in the Raiding the Rock Vault classic rock tribute show. It would have been nice to hear him do more songs with the band, namely something from the McAuley Schenker era, but I am grateful we got to see/hear him make an appearance at all. It was just the added surprise that the evening needed! From old songs to new songs, this show covered all the bases and then some. Michael Schenker is a guitar god, and it is fantastic to see him on the live stage all over again. This has to have been my third or fourth Schenker show, and I can say without reservations that it was the best one I have seen to date, and arguably my best concert experience of 2015 so far. 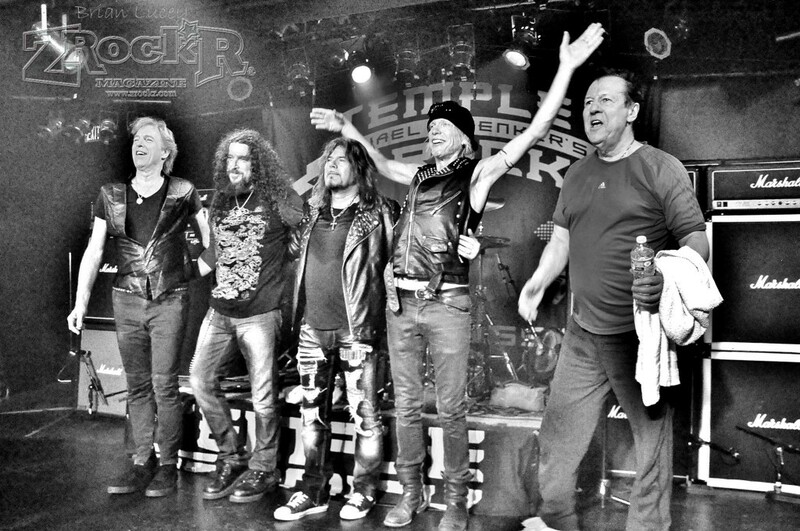 The Temple of Rock band is one of the best groups Schenker has ever had backing him, with an undeniable amount of talent and chemistry, both on stage and in the studio alike. This was a phenomenal rock show in every imaginable way. 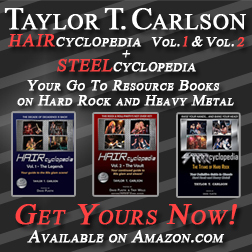 If you are at all a hard rock/heavy metal fan, this tour is not to be missed! PHOTO CREDIT: Brian Lucey- ©2015 ZRock'R Entertainment, LLC and Brian Lucey- all rights reserved. 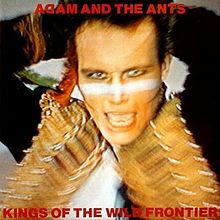 Adam Ant Brings Ant Music To Las Vegas! Dream Theater - The Astonishing is the Band's 13th Studio Album!